Green Bay, Wisconsin – The Solberg Company, a global supplier of firefighting foam concentrates and systems hardware, announced today the company will commercially introduce a unique Underwriters Laboratories, Inc. (UL) Listed high performance, environment-friendly 3% firefighting foam at the 2013 National Fire Protection Association Conference and Exposition June 10-13, Chicago, IL. RE-HEALING™ RF3 foam concentrate from Solberg is a 3% firefighting foam concentrate that is formulated using a new high performance synthetic foam technology to replace traditional AFFF, FFFP foam concentrates and older protein and fluoroprotein foams. In addition to its outstanding fire performance and long drain times to provide superior vapor suppression, RE-HEALING foam concentrates from SOLBERG are an innovative environmentally sustainable fluorosurfactant and fluoropolymer-free firefighting foam used to effectively extinguish Class B hydrocarbon and polar solvent fuels with no environmental concerns for persistence, bioaccumulation or toxic breakdown. RE-HEALING foam can be used with fresh, sea or brackish water and possess excellent fire extinguishment and superior burn back resistance due to its flow and rapid sealing characteristics. The product takes its name from the foams physical “resealing” characteristics. The company’s forward thinking approach to fire protection and their shared commitment to environmental responsibility lead Solberg to develop RF3. For industrial operators, fire protection and environmental responsibility are extremely high operational requirements. RE-HEALING RF3 foam concentrate allows Solberg to provide the highest levels of safety for high-risk high-hazard operators, while at the same time protects the environment for years to come. “RE-HEALING Foam is the most extensively tested foam product on the market today,” cited Dennis Kennedy, General Manager of Solberg. “Over two years of hands on laboratory and field testing work went into the development of the RF3 product. RE-HEALING RF3 foam concentrate is intended for use on Class B hydrocarbon fuel fires. The foam concentrate can be used to prevent re-ignition of a liquid spill and control hazardous vapors. On Class A fuels, RE-HEALING RF3 foam concentrate will improve extinguishment in deep-seated fires. Foam discharge devices such as non-air aspirating as well as air aspirating equipment, including standard sprinkler heads, can be used to obtain maximum results. The product is mixed 3 part foam concentrate to 97 parts water. It may also be used as a 3% pre-mix solution. RE-HEALING RF3 foam concentrate is compatible with dry powder agents. Based in Green Bay, Wisconsin with operations in Bergen, Norway and Sydney, Australia, Solberg has been involved with the manufacture of firefighting foams since the mid-1970s. Solberg is recognized throughout Europe and the Asia Pacific Region for its environmentally sustainable fluorosurfactant and fluoropolymer-free products that are an innovation in Class B firefighting foam. Additionally, Solberg manufactures a complete range of traditional foam concentrates including Class A and High-Expansion foam concentrates and foam systems hardware. Solberg’s unique technology is preferred by customers in the aerospace, aviation, chemical, defense, energy, fire services, marine, mining, oil and gas, petrochemical, pharmaceutical, pipeline, solvent & coatings and utilities industries. Solberg is an Amerex Corporation company with a European heritage. 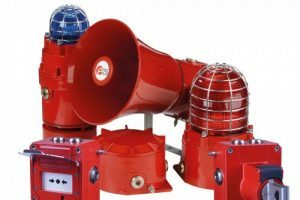 The company is a global one-stop resource for firefighting foam concentrates and custom-designed foam suppression systems hardware and accessories. Solberg offers environmentally sustainable fluorosurfactant and fluoropolymer-free foam concentrate products, an innovation in Class B firefighting foam and traditional firefighting foam concentrates. Solberg’s people and processes are committed to quality, service and safety along with environmental responsibility. This philosophy enables the company to flourish while delivering innovations and value.